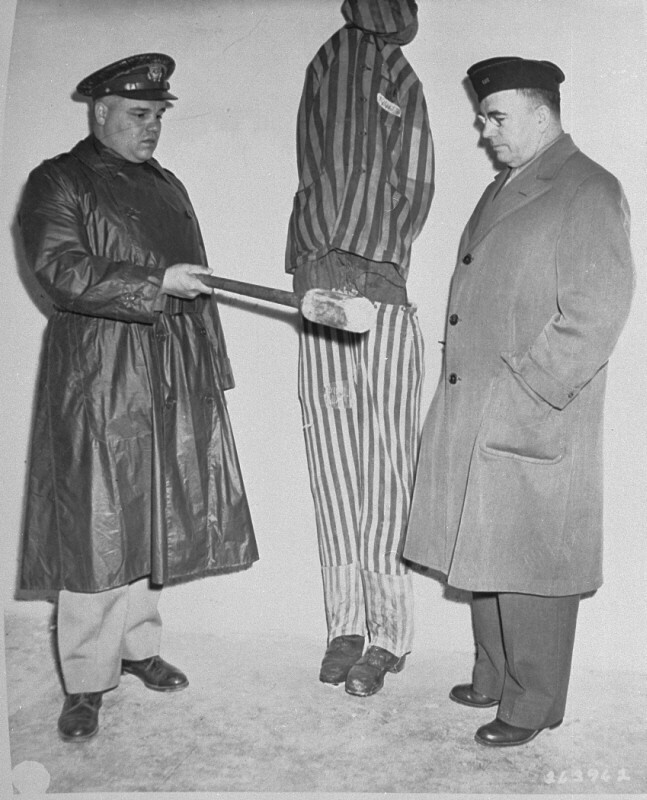 During an inspection by US Army chaplains of the newly liberated Buchenwald concentration camp, G. Bromley Oxnam (right) views a demonstration of how prisoners were tortured in Buchenwald. Oxnam was the Methodist bishop of New York and President of the Federated Council of Churches of Christ in America. Buchenwald, Germany, April 27, 1945.